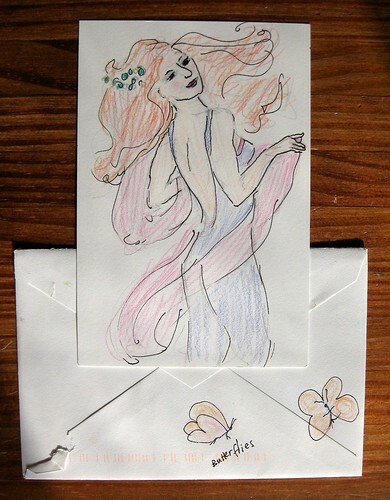 This very artistic pen pal always includes some kind of doodle or artwork on her letters, sometimes all the way down to a watercolor envelope... this time she treated me to artwork in the style of Alphonse Mucha's 1898 painting "Dance." Under the dancing lady, you can see the lovely butterflies that adorned the envelope. If only we were all so talented!